Brenda Brewster has over 18 years of experience in education. She began her educational career as a social studies and math teacher. She holds a bachelor’s degree in International Studies from the Ohio State University, a master’s degree in Educational Leadership from the University of Dayton, and Doctorate of Philosophy in Educational Leadership from Prairie View A&M University. Brenda is an Assistant Principal in Cypress-Fairbanks ISD. Prior to her current position, she worked for two years as a Behavior Interventionist, with the responsibilities of developing and facilitating staff development to incorporate the following topics: effective classroom management strategies, positive behavior interventions, parent/teacher communication, team-building, implementing student support plans, and behavior contracts. Brenda presented at the 1st Annual Texas Educators for Restorative Practices State Conference 2017 in Arlington, Texas. She has worked with district and campus personnel to implement Restorative Practices, within a middle school setting, resulting in a 47% decrease in office referrals. 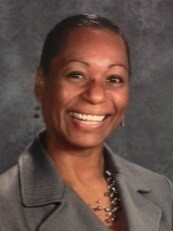 She is a member of the Texas Association of Secondary School Principals. Brenda is committed to assisting educators develop positive relationships with students, and each other, by utilizing a “Keep it GREEN…don’t go 13” mindset.